Laura Heckathorn is Of Counsel with Ogletree Deakins’ Los Angeles office. Ms. Heckathorn works with employers to solve employment related and legal problems by providing California employment law compliance advice. Ms. Heckathorn has broad experience, working as both outside and in-house counsel, providing general advice and counseling to employers on a wide variety of employment matters, including internal investigations, sexual harassment, accommodations for disabled employees, wage and hour issues, and leave law issues. Ms. Heckathorn’s practice also includes significant employment litigation defense. She has experience in all aspects of employment law, including California FEHA and Title VII discrimination, sexual harassment, retaliation, wrongful discharge claims; wage/hour law compliance and defense of claims, reasonable accommodation and leave issues, and breach of contract claims. Ms. Heckathorn has represented numerous nationwide companies in single plaintiff and class action lawsuits. Prior to joining Ogletree, Ms. Heckathorn worked for a national firm where she was responsible for managing the California and nationwide portfolio of single-plaintiff employment lawsuits filed against two large national retail companies. As national employment counsel, she was tasked with becoming uniquely knowledgeable about clients’ business, internal procedures and policies, and litigation expectations. Ms. Heckathorn also worked in house for three years at Fox Group Legal, representing the entertainment company in all aspects of employment litigation and counseling. In this capacity, Ms. Heckathorn worked closely with a diverse group of media entities, including MySpace, Fox Interactive Media, Fox Broadcasting Company, Twentieth Century Fox Film Corporation, Fox Television Stations, Fox News Group and Fox Sports. Ms. Heckathorn began her career in Employment Law at Paul Hastings, where she was an associate in the Los Angeles Office for five years. Ms. Heckathorn has handled numerous depositions, mediations and represented employers through trial. Ms. Heckathorn regularly conducts sexual harassment trainings for her national clients. Ms. Heckathorn counsels her clients on internal investigations of sexual harassment complaints. Ms. Heckathorn has successfully represented employers before the DFEH, EEOC and the Labor Commissioner. Ms. Heckathorn has negotiated numerous advantageous settlements on behalf of her clients. Ms. Heckathorn obtained summary judgment in federal court in favor of her manufacturing client brought by a manager alleging race and disability discrimination. 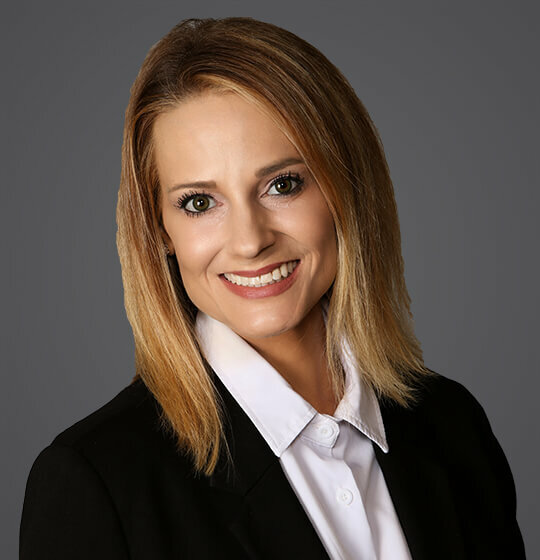 Ms. Heckathorn obtained summary judgment in state court in favor of a major sports casting network, brought by a high-level manager on breach of contract and wage violation claims. She also prepared the brief for the company on appeal to the second circuit in California, and successfully argued the opposition. She second chaired a three-week jury trial in Washington State court and obtained a full defense verdict in favor of a major airline against claims of national origin discrimination. She obtained summary judgment in the Sixth Circuit in favor of a national linen service company against one of the named plaintiffs in a nationwide class action alleging gender and race hiring discrimination, which was affirmed on appeal.